It's lightweight vs. heavyweight for the main event! 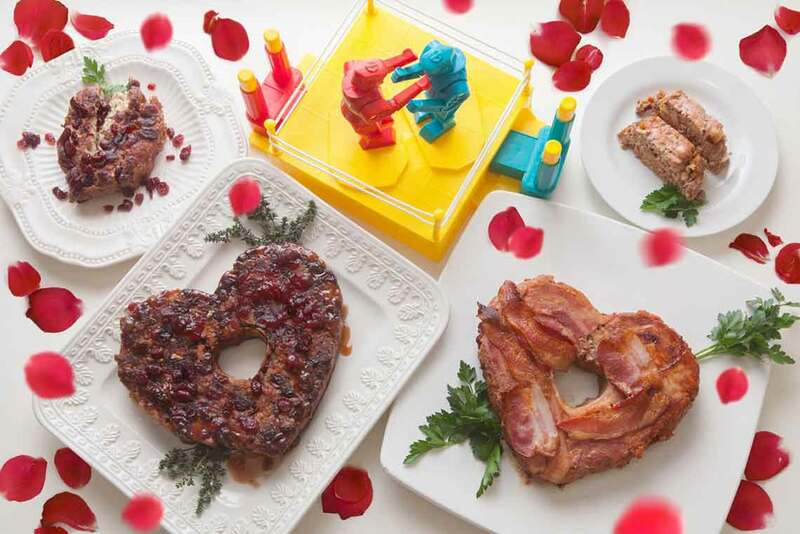 With these two meat loaf creations in your corner, you’re sure to come out a winner this Valentine’s Day. Our heavyweight KO Meat Loaf is a rich, hearty, and flavorful bacon topped contender made with pork and beef. On the lightweight side, our tasty Main Event Turkey Meat Loaf is coated with a sweet brown-sugar and cranberry glaze. Talk about a delicious supper smackdown! 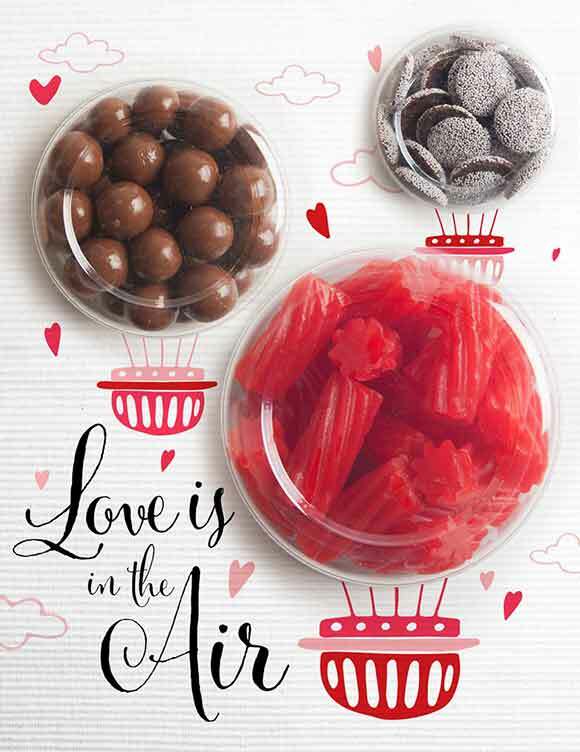 Love is in the air, in our bulk department that is. Our pre-packed treats make giving sweets to your sweet super easy! Pick up a pre-packed candy treat, or pick a few of your loved one’s faves from our bins! Some of our favorites include cinnamon bears, dark chocolate covered almonds, dark-chocolate covered sunflower seeds, licorice, chocolate covered malt balls, and chocolate nonpareils. 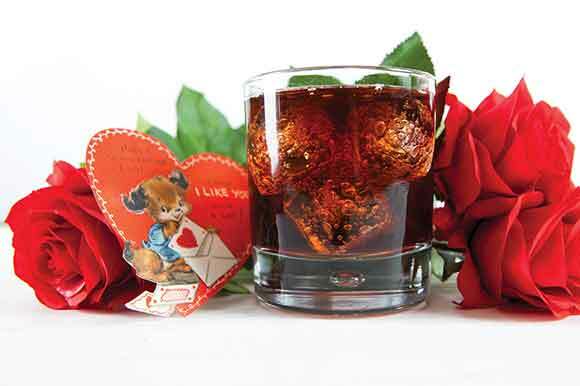 Set a few hearts afire with our Heart Breaker cocktail! Loaded with all kinds of cherry and a splash of bourbon, the Heart Breaker brings a whole lotta love to your Valentine’s Day. 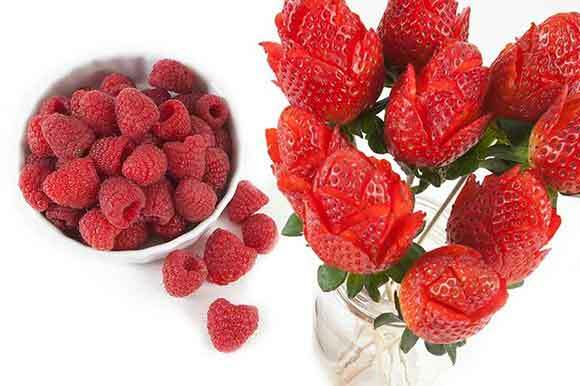 Keep it berry sweet this Valentine’s Day with fresh strawberries and raspberries–perfect for dipping in chocolate or garnishing a special meal for your sweetheart. 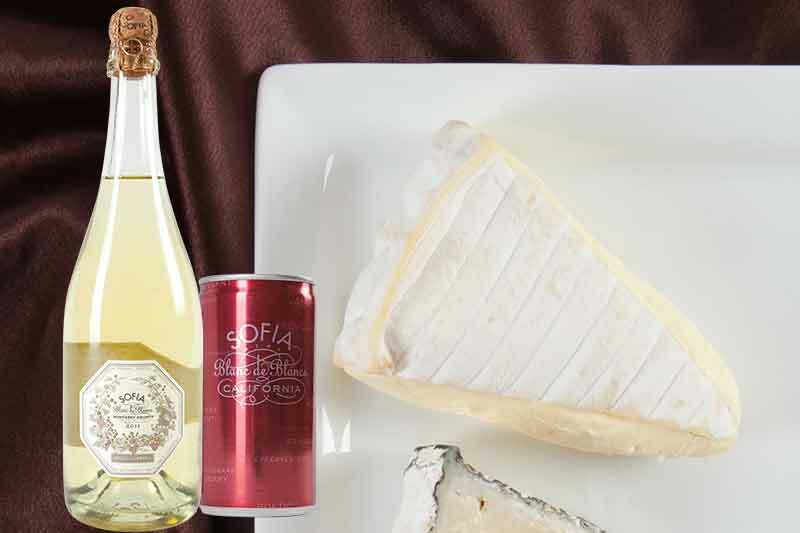 Our favorite creamy, decadent, buttery brie shines even brighter when paired with Coppola Sofia Blanc de Blanc–a super clean, crisp, refreshing sparkler that’s loaded with apple, melon and citrus aromas and flavors. save 50¢/qtrlb. Fromage D’Affinois $3.25/qtrlb. Pick up a brie baker from our housewares dept. and bake your way to cheesy heaven. 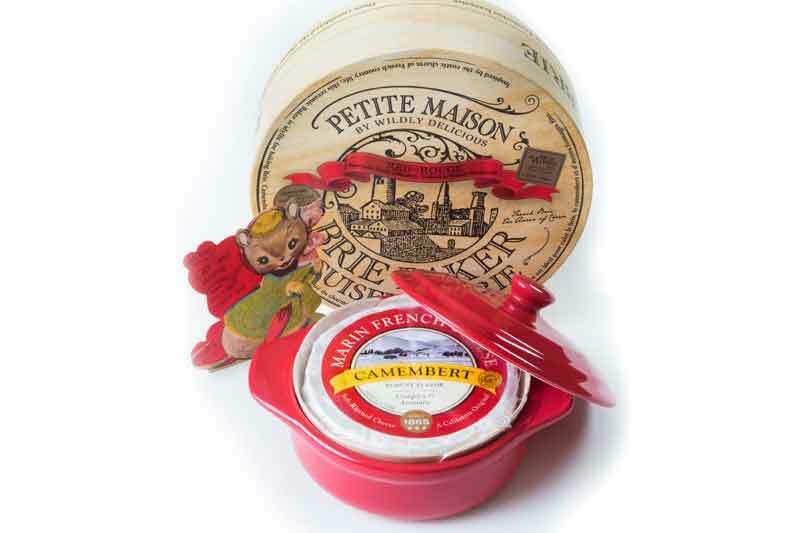 Melt the cheese-lover’s heart in you life by baking the Marin French Camembert. Locally produced by the oldest continually operating cheese company in America (celebrating their 150 year anniversary this year), its rich, buttery flavor and smooth creamy texture are sure to please. Looking for the perfect Valentine's Day wine? 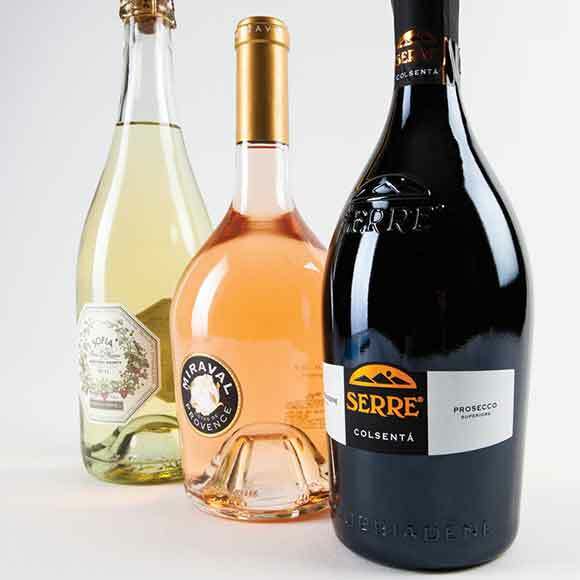 Bella Serre (light and fresh, perfect for an apertif), Miraval Rosé (a great sipping wine when red’s too heavy and white’s too light), and Coppola Sophia blanc de blanc (an excellent gift that pairs well with food) are a few of our heart-pounding favorites. 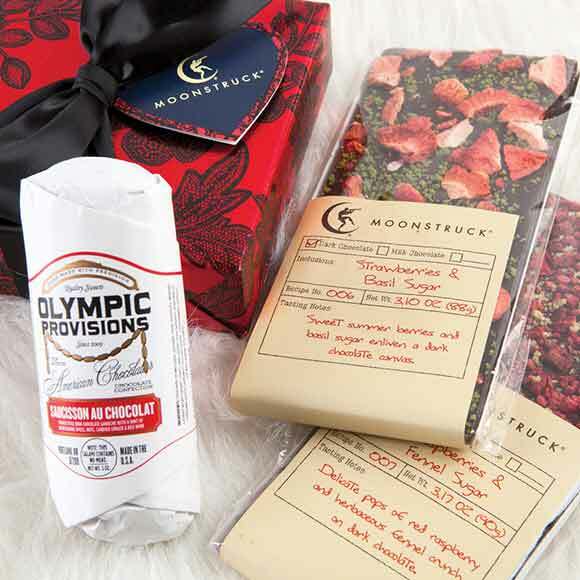 Once in a blue moon, a truly wonderful treat will send you into orbit, like Moonstruck’s new signature chocolate bark bars. Beautiful to look and a magnificent tasting experience, we love the enticing combinations of raspberries and fennel sugar (pops of tart red raspberry and herbaceous fennel crunch on dark chocolate) along with strawberries and basil sugar (summer berries and basil on dark chocolate). Hand formed, each bar features organic designs that reflect the artistic vibe at work in Moonstruck’s kitchen. Salami takes a sweet turn! 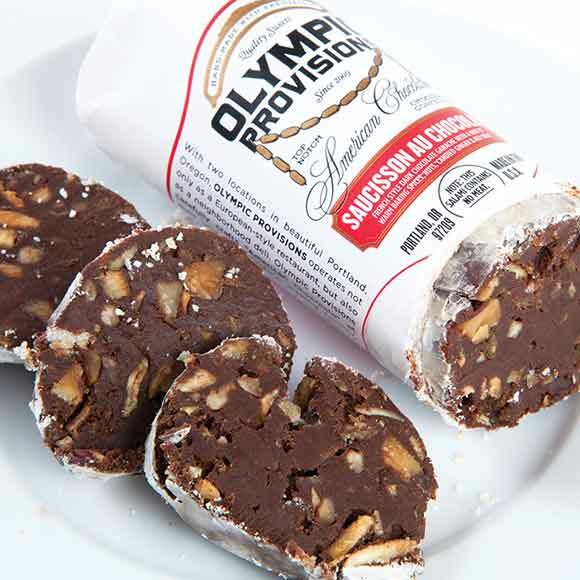 Available in our specialty cheese department, Olympic Provisions’ Chocolate Salami is a delicious, pork-free salami look-alike made with dark chocolate ganache, nuts, candied fruit, spirits and sweet baking spices all rolled into a salami-like shape and dusted with powdered sugar. With a French flair, Saucisson Au Chocolate (made with baking spices, pumpkin seeds, nuts, candied ginger and red wine) makes a unique, robust Valentine’s Day gift and pairs beautifully with a full-bodied red wine or a rich dark beer. 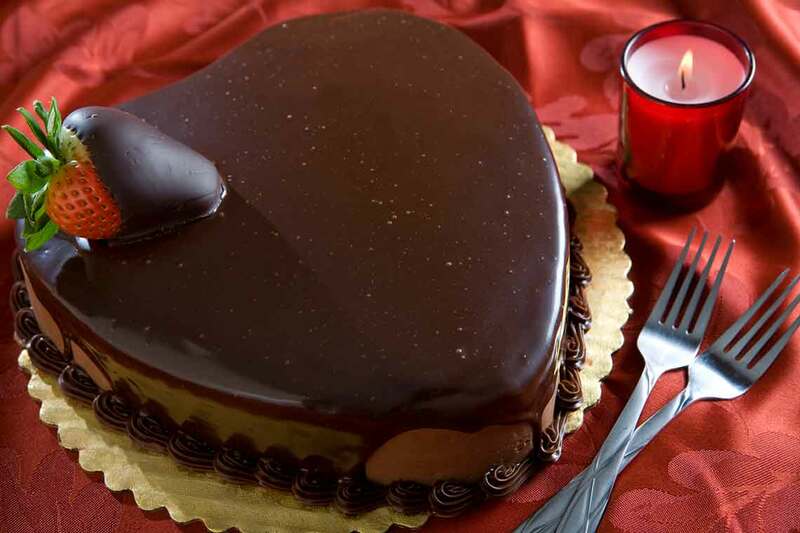 Our adorable 5˝ heart-shaped cakes made in-house by our talented bakers are perfect for any Valentine’s Day celebration. Choose from chocolate or red velvet, frosted in buttercream or cream cheese frosting. Our wine stewards have put together a delicious line up for this week’s wine tasting events. Get in on the action, and stop by one of the following Nugget Markets locations from 5–7 p.m. Flights are only $5 each and attendees must be at least 21 years of age. Run to end SMA—Spinal Muscular Atrophy, the #1 genetic killer of young children. The The Getty Owl Foundation works tirelessly to raise awareness, assist, and advocate for families affected by SMA, and support research to find a cure. We’re sponsoring this year’s run (kids run, 5k and 10k at Crocker Park) for such a great cause. Stop by the Nugget Markets tent for race goodies! gettyowl.org. We’re proud supporters of our local breweries and Sacramento Beer Week! Presented by the Northern California Brewer’s Guild, Sac Beer Week celebrates our local beer culture and craft breweries in our area. Stay tuned for special upcoming beer/cheese tastings in our stores. Stay in this Valentine’s Day and treat your sweetheart to the finest cut of beef at a heart-warming price! 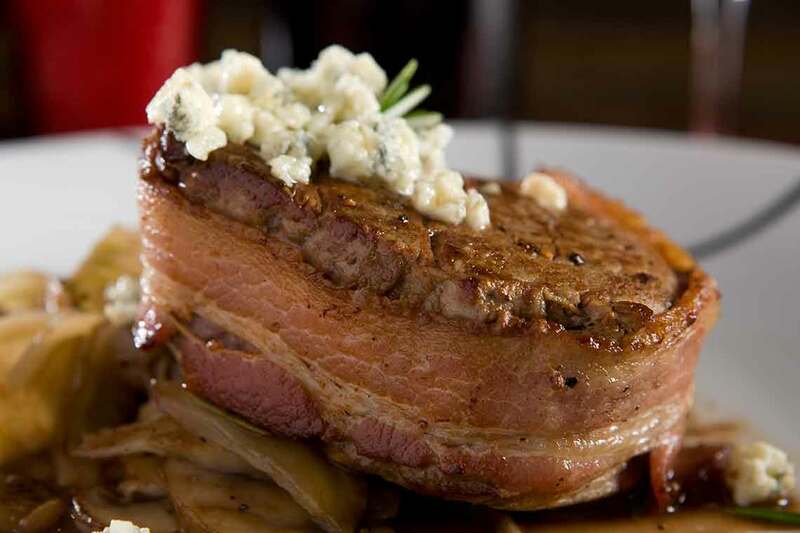 Known as the most tender of steaks, filet mignon is delicious accompanied by a rich sauce or wrapped in bacon. Quick cooking and elegant, filet mignon is the perfect melt-in-your-mouth steak experience. This Friday and Saturday only pick up some USDA Choice filet mignon for just $15/lb., save $7.99/lb. 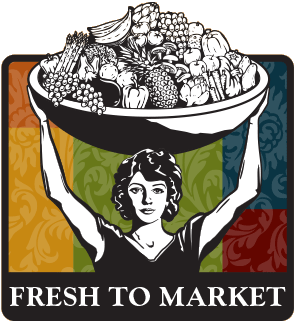 Prices valid February 11–17, 2015.